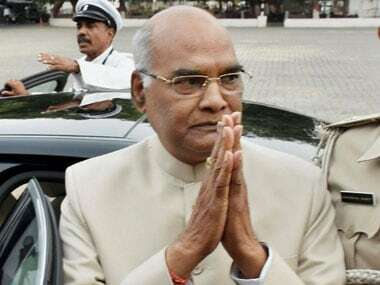 Dehradun: The NDA's presidential nominee Ram Nath Kovind on Monday held a meeting with MPs and MLAs of the ruling BJP in Uttarakhand at Chief Minister Trivendra Singh Rawat's official residence to canvass support for himself. The closed-door meeting, chaired by the chief minister, lasted for two hours, official sources said. All 57 party legislators and two out of the five party MPs from the state and one independent MLA, Pritam Singh Panwar, were present at the meeting, they said. BJP MPs and former chief ministers Bhagat Singh Koshiyari, Bhuwan Chandra Khanduri and Ramesh Pokhriyal Nishank could not attend the meeting due to their personal engagements. Earlier in the day, Kovind was received at the Jolly Grant airport by the chief minister who took him to his official residence. The NDA's presidential pick was gifted a shawl, an urn filled with water from the Ganga river and a book on the history of Uttarakhand. Kovind had on Sunday embarked on a nationwide tour from his home state Uttar Pradesh to garner support of various political parties for him in the 17 July presidential election. Sources in the BJP had said a Union minister, a senior party leader and two MPs would accompany Kovind on his nationwide tour to reach out to all the members of the electoral college. 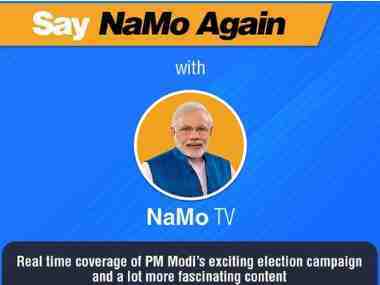 Though he would be meeting only with the MPs and MLAs who have pledged their loyalty with him, the NDA's presidential pick would appeal to all the members of the electoral college to support his candidature, they had said. With over 62 percent of the votes firmly behind him, Kovind's election as the next president is almost certain. 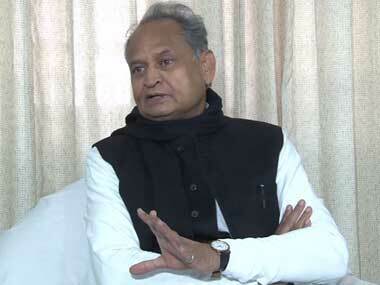 Besides the BJP and its NDA allies, the TRS, YSRCP, AIADMK, BJD and the JD(U) have also announced their support to him. The presidential election is scheduled for 17 July and the counting of votes will take place on 20 July. Kovind filed his nomination in the presence of Prime Minister Narendra Modi in New Delhi on 23 June, while opposition candidate Kumar is yet to file hers. If elected, Kovind will be the second Dalit president after KR Narayanan.